Do you plan to buy property in Japan? Japan is one of the most popular investment destinations for international corporations and individual property buyers. Being one of a few developed countries in APAC, it’s not strange. Foreigners find Japan as safe and ownership regulations are both transparent and favourable, which is not often the case in many other APAC countries, especially in Southeast Asia. Not to forget, Japan is very livable and many decide to either settle here, or to buy lifestyle property for holiday or rental purposes. However, before you buy real estate in Japan, it’s important that you understand the property market outlook, how high property taxes are, if you can get a property loans as a foreigner, about property prices, and more. Can foreigners buy property in Japan? Can foreigners buy land in Japan? Foreigners have no issues to buy property in Japan and ownership regulations are very similar between locals and non-resident foreigners. You can buy and hold property by simply having a tourist visa and without the need of residing in Japan. Being one of the most developed countries in the world, it’s not strange. Of course, this contributes to why Japan has become the primary choice when foreign buyers look for investment opportunities in Asia. Yet, the buying process can be somewhat fuzzy and often time consuming, something that I will cover in greater detail later in this article. Thus, finding an experienced agent that’s well versed in Japanese and English should on the top of your to-do list. Japan is one of a few Asian countries where foreigners can own land on a freehold basis. Korea, Taiwan, and Malaysia are the only three other options you have, in case you want to own land without being a permanent resident. Naturally, many foreigners find this very tempting and we see a big demand for lifestyle properties in places like Hokkaido, and especially Niseko. Maximizing yields is not always the main goal for foreigners who buy property for personal use, or a safe option to allocate cash. When it comes to acquiring land, you can either buy land on a freehold basis or on a leasehold basis. Let’s have a look at both options and what benefits each brings. Buying freehold property is the preferred choice in many countries. It’s not strange, as you can profit from the price appreciations of the land. In addition, you don’t need to worry about the expiry and the renewal of the lease. In Japan, the freehold title is called Shoyuken and gives you full ownership of the land and the physical structure built upon it. When you buy a condo, on the other hand, you co-own the building and own a small part of the land under the building. Even if a majority of people buy freehold property in places like Tokyo, some prefer to simply go for a leasehold property. It’s a bit more tricky and the buying process is usually longer, as mentioned. So for how long can you lease a property? Since 1992, Japan has introduced a new leasehold law which has set the initial leasehold property for 30 years, including all property types. When the first leasehold period has expired, you can extend the lease for an additional 20 years. When the first renewal of the lease has expired, it will be automatically extended with 10 years at a time. Keep in mind, your landowner can refuse to extend the leasehold period. But, with the new law in place, he or she must give a justifiable reason. Looking at a national level, Japan’s real estate market is facing a stagnation. Still, Tokyo’s real estate market seems promising. Osaka also becomes increasingly interesting as property prices continue to rise in Tokyo, and have reached record breaking levels. 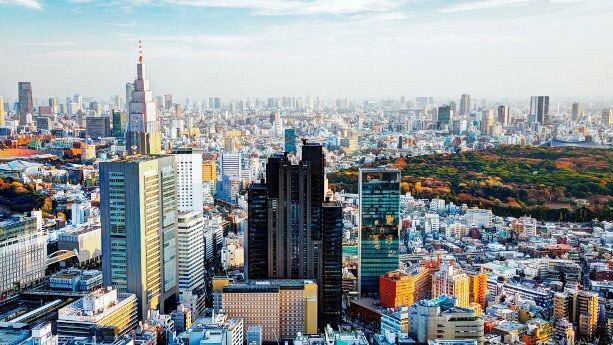 With the upcoming Olympics in 2020, Tokyo has a buying recommendation in PWC’s latest report “Emerging Trends in Real Estate Asia Pacific 2019”. Both Tokyo and Osaka snap a third and a fourth spot respectively, and are the only developed markets in the top five, along with Melbourne. 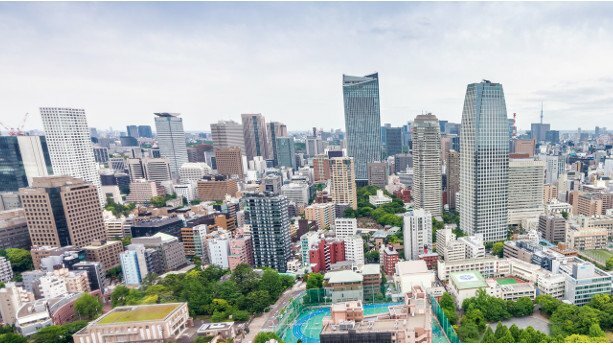 Other established real estate companies, such as Savills Asia, says that Tokyo’s residential market will remain stable, mainly due to urbanization. With increasingly more travellers and interest from foreigners, the markets continue to grow. Luxury condos become increasingly popular among high net worth individuals in Tokyo as well, and local developers focus more and more on this client segment. At the same time, mid-market condo sales is softening. As mentioned, the buying process can be lengthy and includes a number of documents that will be prepared by either your agent or the seller. Below I’ve included some of the main steps involved when buying real estate in Japan. As a non-Japanese speaker, you should find an English speaking real estate agent that has experience of helping foreigners. Not only is it mandatory to work with agents, but practically a must to manage the buying process efficiently. 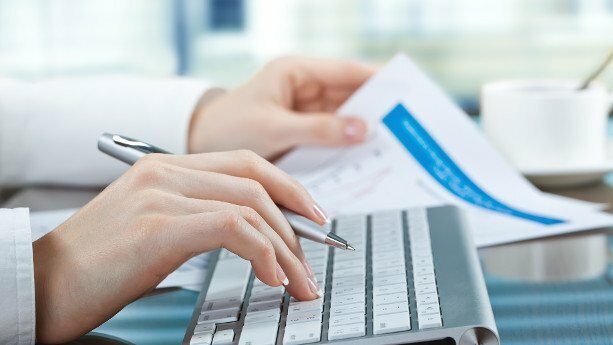 Handling all the paperwork involved can be a daunting task. Thus, the agent can help you with translations and to prepare documents needed for the transfer of the property. My personal experience is that it’s easier to find and get started with foreign owned agencies in places like Bangkok. Thus, it can take some time to find an agent that can help you. Once you find one, be sure to confirm that the agent has a good knowledge about the local market, neighbourhoods, and that he or she understands your needs. The agent should have a well-rounded knowledge about: the different price levels in the area, how many properties that have been sold, how many vacant houses there are, just to name a few. How high are real estate agent commissions in Japan? You usually pay a fee that is 3% of the assessed value to the agent. On top of that, you need to add a fee of JPY 60,000 and a VAT of 8%. If you want to buy a property on the primary market, you need to submit a purchase application form to the developer or the agent. In case you buy property on the secondary market, buyers generally prepare a letter of intent to the seller. Simply put, this document shows the seller that you’re serious about buying the property, and it’s one of the starting points of the negotiations. Keep in mind, sellers don’t provide much information about the property until your agent has provided this document on behalf of you. You need to pay a deposit that normally stretches between 5-10% of the property value. The deposit is often deducted from the purchase price if you decide to buy the property. Thus, it’s not really counted as an expense. Keep in mind that it’s difficult to get a property loan unless you’re a permanent resident. I will cover this in greater detail later in this article. The document is comprehensive and often 20 – 100 pages long. The main purpose of the document is to give you additional information about the property, before committing to the purchase. When you’ve reviewed the Explanation of Important Matters and agreed to the content, it’s time to prepare the sales contract. This is one of the final steps in the buying process. 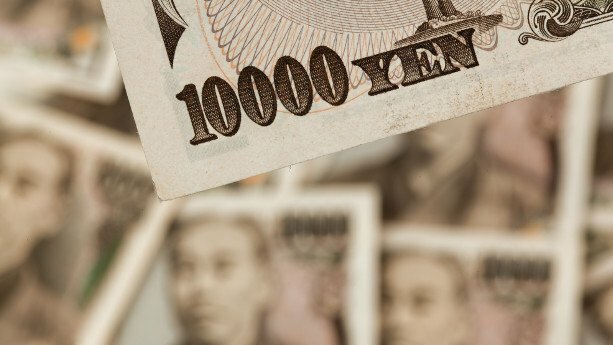 Can non-resident foreigners open bank accounts in Japan? It’s not possible for non-residents to open local bank accounts in Japan. Therefore, you usually don’t transfer the money through a local account in Japan. Instead, you pay the deposits and the final balance directly from the account in your home country. Can non-resident foreigners get property loans in Japan? You’re able to get property loans from Japanese banks, but it’s hard unless you’re a permanent resident. In case you’re a non-resident and need financing, my recommendation is to look for a bank in your home country that has local branches in Japan. Japanese banks like Mizuho and Shinsei have offices in Hong Kong, Singapore, Malaysia, Australia, Vietnam, and Mainland China, just to mention a few. Try to contact the branches of Japanese banks in your home country to see what options you have. Bank of China and HSBC also have offices in Japan and might be able to provide you a property loan. Another option is to apply for an international property loan from your home country. If you’re from Singapore, UOB offers international property loans that cover up to 70% of the assessed value, with a repayment period of 30 years. OCBC is another bank that offers international mortgages for selected projects under construction in Tokyo. Their loan amount provided is capped to SGD 200,000 (JPY 25,000,000). For more details regarding interest rates and to get a personal assessment, I recommend you to contact each bank separately. Can foreigners get residence permits when buying real estate in Japan? Unfortunately, you can’t get a residence permit if you buy property in Japan. However, Japan plans to make it significantly easier for foreigners to get permanent residency with its modified point system. The new point system was introduced in early 2017 and foreigners can now get permanent residency within 1 year. To become a permanent resident within 1 year, you need to reach 80 points in the new point system, which is a bit challenging. Here, they mainly assess your current income, education, and work experience. Still, you’re able to get permanent residency in a period of 3 years, if you reach a level of 70 points. The point system has been in place since 2015 and where a majority of persons considered “highly skilled” have been Chinese. Rental yields are comparatively high in Tokyo, ranging between 3-5%. On a national level, Japan is not your best option in terms of rental yields, that average between 2-3%. However, many see Japan as a safe place to buy real estate and can live with lower rental yields. Real estate prices differ much depending on where you buy, of course. Therefore, I focus mainly on Tokyo, as we see the biggest demand there. Tokyo real estate isn’t as expensive as many think and prices average at similar levels as new prime projects in central parts of Bangkok. Taxes can determine whether you should or shouldn’t invest in a country. 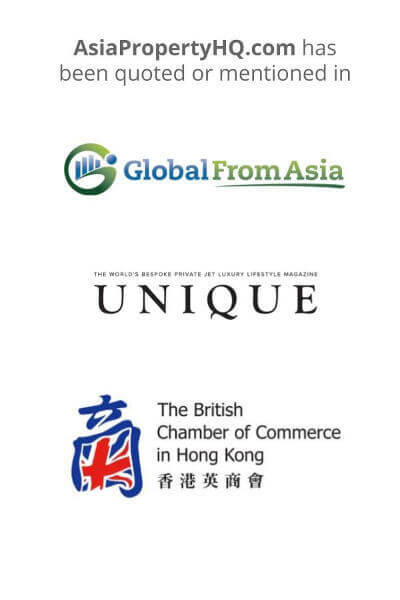 Places like Hong Kong and Singapore have turned off many buyers with the introduction of new buyer’s stamp duties ranging from 20-30%. Indonesia is no exception where property taxes are notoriously high and you need to pay a luxury tax of 20% for prime property. So, before you buy property in Japan, it’s important that you know how much you’ll need to pay in tax. Below I’ve listed the taxes that apply when buying holding, or selling property. You always pay a real estate acquisition tax when ownership is transferred from the seller to the buyer. The rate is set to 4% and normally multiplied by the purchase price of the property. A registration tax applies to the registration of ownership and other legal interests in land and buildings (like mortgages), and registration of transfers. The registration refers to the recording of a legal interest in the official Real Estate Registry that’s kept at the local Legal Affairs Bureau. The rate ranges between 0.15% – 2%, depending on the legal interest. A stamp duty applies to all real estate documents that verifies an agreement. The documents have a stamp affixed and the cost of the stamp differs, depending on the value of the agreement. Simply put, when you buy a house, you need to pay the stamp duty based on the purchase price. Purchase and sale agreements valued over JPY 10 million has been reduced to JPY 160,000 (USD 1,441). For purchases with a value of JPY 500 million – 1 billion (around USD 4-8 million), the duty is JPY 200,000 (USD 1,800). The property tax has a standard rate of 1.4%, but a maximum rate of 2.1% and is calculated based on your property’s estimated value. At the moment, w little more than 10% of all local governments have introduced a property tax that is higher than 1.4%. Worth mentioning is that the property tax is only applied to 2/3 of the land if the building is used for residential purposes. On top of that, a city planning tax (also called municipality tax) of maximum 0.3% applies. You need to pay a resident tax in case you’ve resided in Japan for more than one year. As a non-resident, you don’t not need to pay any resident tax. The rate starts at 10% and can increase all the way up to 40%, depending on where you live and how much you earn. The consumption tax is currently 8% and paid on buildings, but not the land. Therefore, you’re not obliged to pay consumption tax in case you sell an apartment or a unit in a condo for example. The consumption tax is mostly used for corporations. The seller should pay for the consumption tax. But, a common practice is that the buyer pays for the consumption tax and deducts the value from the final sales price. Japan has a so called real estate acquisition tax that is set to 3% for residential properties and land. The tax is paid when you buy your property (hence, the name acquisition tax). There’s an important distinction to make when you discuss about the rental income tax in Japan (or often called withholding tax). If you rent out your apartment to a tenant that uses the property for self-dwelling, you and your tenant are not required to pay any rental income taxes. However, if you rent out your property to a corporation (company), or to a person that will not use your property for residential purposes, they are obliged to pay a withholding tax of 20.42%. The withholding tax is kept by the tenants and paid to the Japanese tax authorities. As, mentioned, the rate is currently 20.24% and the remainder is paid to you in rent. Sometimes, you’re charged with a capital gains tax when selling property. It all comes down to for how long you hold the property, if you used is merely as an investment, and more. The tax authorities will make an individual assessment. If you hold the property for less than 5 years, it’s considered as short term and you need to pay a total rate of 39%. However, If you hold the property for more than 5 years, it will be treated as long term and you only need to pay a rate of 20%. The above rates also include the municipality tax. Young locals move to the bigger cities, like Tokyo, in vast numbers. This brings many opportunities as you have great chances to find good deals in the Japanese countryside. If you look for a property to store some cash and use as a holiday retreat, you can find cheap traditional houses in rural areas, for example in Hokkaido or Okinawa. Some of the houses are old and can be a bit torn down, so be prepared to roll up your sleeves or hire someone to do the work for you. And you should consider buying a house where the Winter doesn’t become very cold, in case you don’t plan to make a big restoration work on the property. The prices for houses in the countrysides can be surprisingly low, as there’s an oversupply of houses in Japan. In fact, at the moment I write this article, almost 10 million houses stand empty in Japan. If you search for properties in rural areas in Hokkaido, for example, you can be sure to find houses with 4-6 bedrooms that merely cost USD 200,000 – 300,000. Be sure to find a company that can help you to maintain the property if that’s needed. I recommend you to contact a handful of these agents and see how they can help. 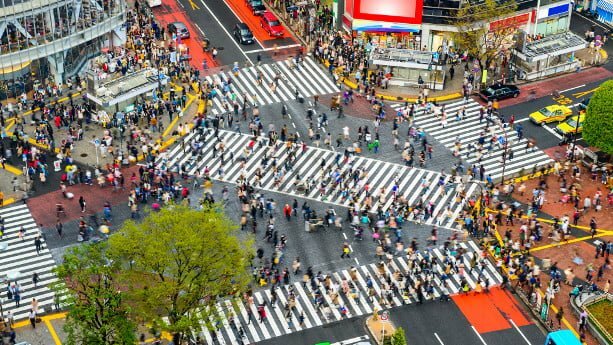 Japan might not provide the highest yields, but Tokyo is still one of the most interesting and preferred destinations in Asia. Reports from PWC, Savills, and other major real estate companies claim this and we’ve seen much activity due to the upcoming Olympics in 2020. It’s not strange, as foreigners have no issues to own land, or any other property for that matter, on a freehold basis. This is rare and we can only find similar ownership regulations in three other Asian countries. Compared to places like Cambodia and Thailand, Japan is considered to be a safe a stable country and is a good choice for investors who look for lifestyle property. Finding a credible and English speaking real estate agent should be on your to-do list. In fact, foreigners are required to work with local agents due to national laws. And honestly speaking, navigating the Japanese real estate market without the help of an agent isn’t easy.